Personal Platform’s Six Word Short Story Collection. The myth surrounding the six-word short story goes like this. American writer, Ernest Hemingway, is drinking with fellow writers in a restaurant in New York. His breath stinking of whiskey, Hemingway slams the table with his hand and bets ten dollars that he can write an entire story in only six words. His peers look around and each one takes out ten dollars from their pockets and places it on the table. Hemingway takes a napkin, pulls out a stubby pencil and begins to write. The table waits. Taking one final look at his work, the author turns over the napkin and leaves it upside down it in the middle of the table. “Go on man!” he booms at no one in particular. One of them reaches in and turns it over. All the eyes peer over at the napkin. Scrawled in the centre is this: For sale: baby shoes, never worn. 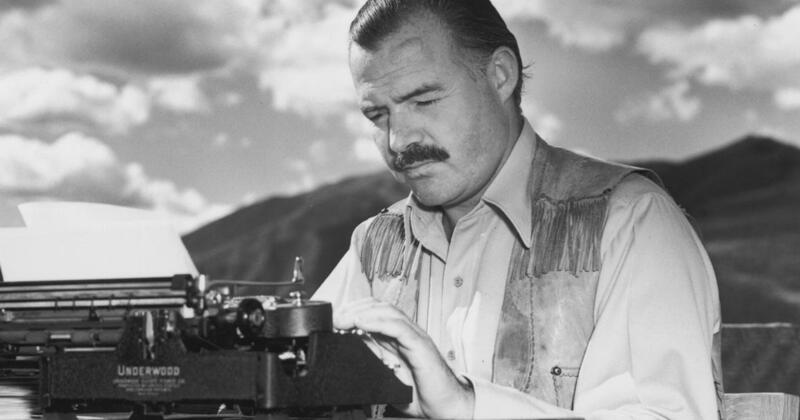 Hemingway’s hearty chuckle breaks the silence, and he proceeds to collect his winnings. “No submissions yet, you write one” – Friend of editor. Tender barren love, created positive miracle – R. M. B.